Then they brought Jesus from Caiaphas to the praetorium. It was morning. And they themselves did not enter the praetorium, in order not to be defiled so that they could eat the Passover. So Pilate came out to them and said, “What charge do you bring against this man?” They answered and said to him, “If he were not a criminal, we would not have handed him over to you.” At this, Pilate said to them, “Take him yourselves, and judge him according to your law.” The Jews answered him, “We do not have the right to execute anyone,” in order that the word of Jesus might be fulfilled that he said indicating the kind of death he would die. So Pilate went back into the praetorium and summoned Jesus and said to him, “Are you the King of the Jews?” Jesus answered, “Do you say this on your own or have others told you about me?” Pilate answered, “I am not a Jew, am I? Your own nation and the chief priests handed you over to me. What have you done?” Jesus answered, “My kingdom does not belong to this world. If my kingdom did belong to this world, my attendants would be fighting to keep me from being handed over to the Jews. But as it is, my kingdom is not here.” So Pilate said to him, “Then you are a king?” Jesus answered, “You say I am a king. For this I was born and for this I came into the world, to testify to the truth. Everyone who belongs to the truth listens to my voice.” Pilate said to him, “What is truth?” When he had said this, he again went out to the Jews and said to them, “I find no guilt in him. But you have a custom that I release one prisoner to you at Passover. Do you want me to release to you the King of the Jews?” They cried out again, “Not this one but Barabbas!” Now Barabbas was a revolutionary. When the soldiers had crucified Jesus, they took his clothes and divided them into four shares, a share for each soldier. They also took his tunic, but the tunic was seamless, woven in one piece from the top down. So they said to one another, “Let’s not tear it, but cast lots for it to see whose it will be, “in order that the passage of Scripture might be fulfilled that says: They divided my garments among them, and for my vesture they cast lots. This is what the soldiers did. Standing by the cross of Jesus were his mother and his mother’s sister, Mary the wife of Clopas, and Mary of Magdala. When Jesus saw his mother and the disciple there whom he loved he said to his mother, “Woman, behold, your son.” Then he said to the disciple, “Behold, your mother.” And from that hour the disciple took her into his home. Now since it was preparation day, in order that the bodies might not remain on the cross on the sabbath, for the sabbath day of that week was a solemn one, the Jews asked Pilate that their legs be broken and that they be taken down. 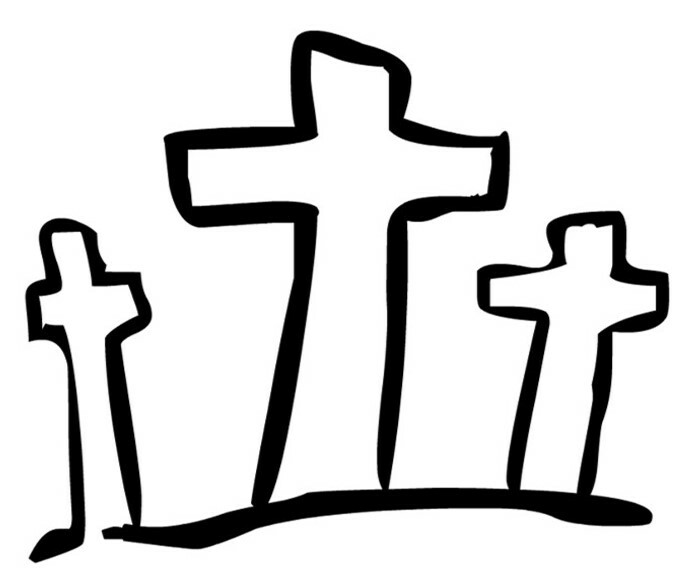 So the soldiers came and broke the legs of the first and then of the other one who was crucified with Jesus. But when they came to Jesus and saw that he was already dead, they did not break his legs, but one soldier thrust his lance into his side, and immediately blood and water flowed out. An eyewitness has testified, and his testimony is true; he knows that he is speaking the truth, so that you also may come to believe. For this happened so that the Scripture passage might be fulfilled: Not a bone of it will be broken. And again another passage says: They will look upon him whom they have pierced. The Gospel’s Passion narrative for Good Friday tells the story of Jesus final, tortured steps to his death. While his entire life was his journey to Golgotha, it is the day of Jesus’ trial and crucifixion that we look to as the ultimate act of God’s perfect and endless love for us. The story more than speaks for itself, and it has much to say that it wants us to hear. Our task on this day is to listen. The account of Jesus’ passion is certainly familiar to Christians. Most of us can repeat it in detail without much trouble. What is crucial is that we never allow that familiarity to numb us to its voice. The story about Jesus is also a story about us. Because of why Jesus was willing to go to the cross, and because of how Jesus chose to go to the cross, we have been given a glimpse of who we are. We are a people who have been given the gift of redemption. More importantly, we are a people for whom it was worth suffering and dying. With the end of Good Friday, many of us will begin to look to the coming of Easter, to preparing ourselves for the celebration of the resurrection of our Lord. However, perhaps before doing that, we might linger a bit longer to consider the closed tomb, unadorned and forsaken, its only statement one of shattering loss. And then we might contemplate that, from such a cold and abject silence, there arose the brilliant song of irresistible hope, of unfailing love, of eternal life. Our eternal life. Eternal Father, for our salvation, your Son was unjustly condemned to death. 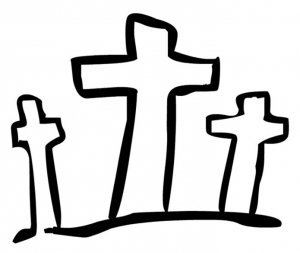 On this Good Friday, we contemplate our own injustices and the harm that they do. Our sinfulness enslaves us and traps our world in suffering and darkness. Lift our eyes to the cross, and open our hearts to Jesus’ gift of his own life for ours. Through your grace, may we be set free from our sins, and led out into the light of faith. Grant that we may share in your life as we offer the living worship of our discipleship and love. This we ask of you who lives and reigns with your Son and the Holy Spirit, one God forever and ever. Amen.